Pretty white daisies with gray shading, bright yellow centers and green leaves painted around the inside rim on a bowl-shaped vessel sink. Shown on a white Bowl Vessel. Can be adapted to many fixtures. Visit our Fixture Choices page for options. 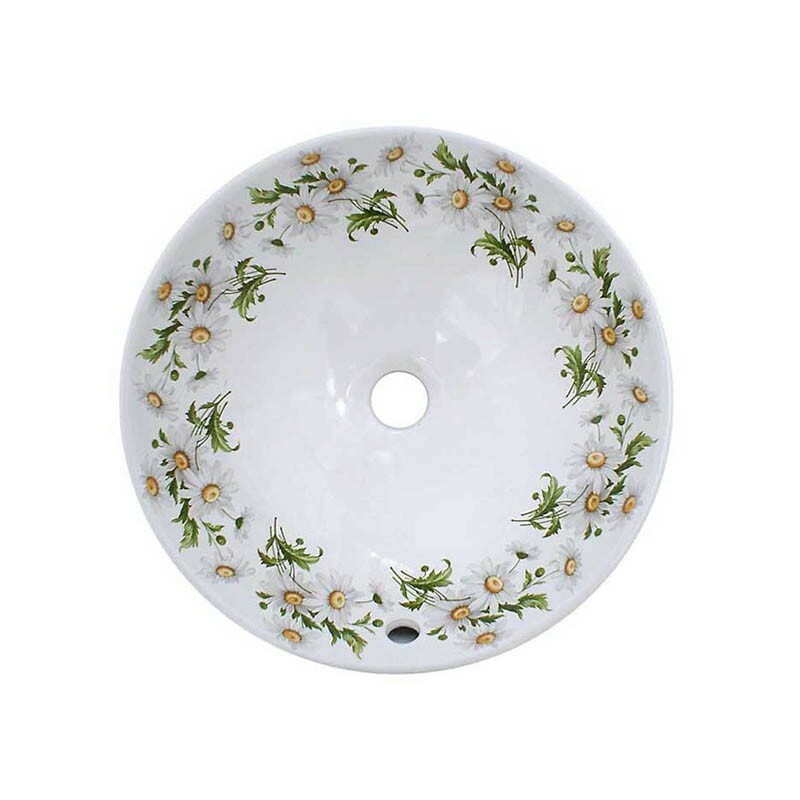 I love, love, LOVE my daisy designed sink. The design is beautiful and the colors are crisp and bright. It adds an elegant touch to our newly renovated small master bathroom. 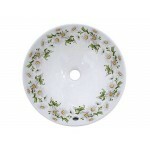 We also had the daisy design done on the toilet tank and lid. They also look fantastic. Lynn was amazing to work with. 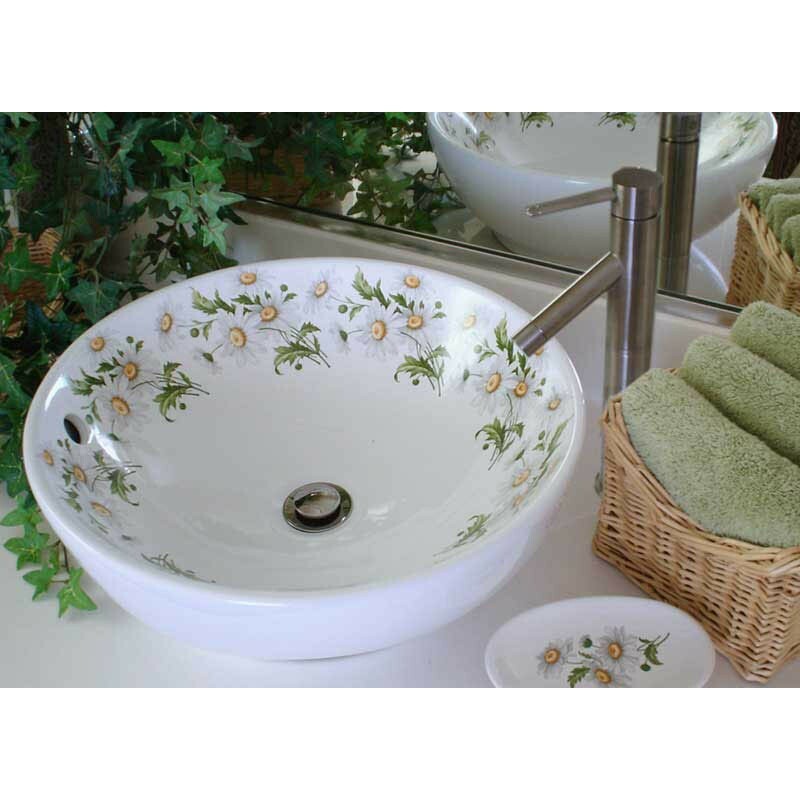 She patiently (and cheerfully) redesigned the sink (and toilet) at least six times, to accommodate my husband and my personal tastes and preferences. I highly recommend "decoratedbathroom". Ten stars would not be enough. Working with them was like a breath of fresh air in what was otherwise a very stressful experience. P.S. 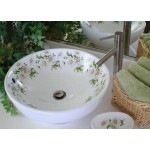 - The sink pictured is not my sink, but I will be posting pictures of my actual sink and toilet soon. Check back.